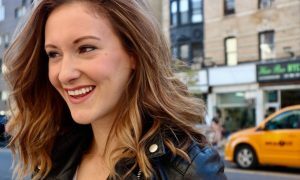 Here is your latest New Zealand dance news! 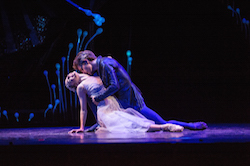 The Vodafone Season of ‘A Midsummer Night’s Dream’, by the Royal New Zealand Ballet. Photo by Stephen A’Court. 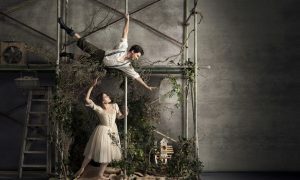 The Royal New Zealand Ballet continues touring its major hit, The Vodafone Season of A Midsummer Night’s Dream this month. The brand new ballet by sought-after 29 year old British choreographer Liam Scarlett won over critics and audience members alike at its Wellington premiere. The RNZB’s largest-ever set and stunning costumes created by New Zealander Tracy Grant Lord and enchanting lighting design by American Kendall Smith wowed audiences. The company has recently taken the production to Christchurch with the Christchurch Symphony Orchestra, and now continues on to Auckland (2-6 September with the Auckland Philharmonia), Rotorua (10 September), Palmerston North (16 September) and Napier (19 & 20 September). 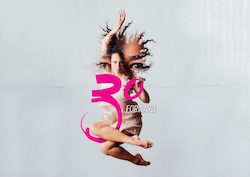 Footnote New Zealand Dance’s ’30Forward’. Photo by Dean Zillwood. Tempo Dance Festival 2015 takes place in Auckland from 30 September – 18 October, under the direction of newly appointed Artistic Director Carrie Rae Cunningham. Atamira Dance Company founder, Jack Gray kicks off the season with his first full length work, Mitimiti. Footnote New Zealand Dance will celebrate their 30 year anniversary with 30Forward, a selection of highlights from full-length works over the past decade. Also coming up this month is The Body Festival 2015 which takes place in Christchurch from 25 September – 11 October. Presenting not only the finest home-grown dancers in a vast range of genres; pole dancing to hip hop, contemporary dance to circus and everything in between, 2015 also sees works presented from the USA, Australia, Spain and, for the first time, Poland, making this year’s programme truly global. Two more festivals will follow in October; the Nelson Arts Festival 2015 from 14 – 26 October in Nelson, and InterACT Disability Arts Festival from 21 -23 October in Auckland. For more information visit nelsonartsfestival.co.nz and interacting.org.nz. Atamira Dance Company’s ‘Mitimiti’. Photo by Lewis Mulatero. Award-winning Māori dancer and choreographer Shakaiah Perez was chosen to attend an acclaimed indigenous arts residency at one of the world’s leading arts and creativity hubs. Thanks to a joint initiative between Creative New Zealand and The Banff Centre, Shakaiah has been participating in the Indigenous Dance Residency in Canada. The four-week residency involves daily technique classes and choreographic exploration with acclaimed indigenous choreographers and instructors, as well as creating a new choreographic work that will be performed as part of the Banff Summer Arts Festival. The 19-year-old already has international hip hop titles, vast film and television experience and will appear in the upcoming NZ hip hop film Born to Dance. 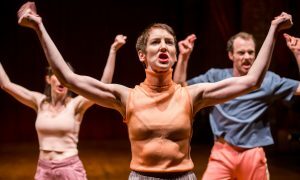 Two young dance/theatre artists have each been awarded $5,000 in the 2015 Dame Malvina Major Foundation Christchurch Arts Excellence Awards, with support from The Canterbury Community Trust. James Buchanan (20) will be studying for a Bachelor of Arts in Professional Music Theatre at the Arts Educational Schools London. Callahan Laird (14), has been accepted into Junior Associates and is a Scholar at New Zealand School of Dance, Wellington majoring in Classical Ballet. He will continue his training at Levings School of Dance, Christchurch this year. THE BRADAS of Identity Company took out the Gold medal in the adult section of the Hip Hop International World Finals in San Diego against 80 other teams from across the world. The group’s slick choreography and undoubted skill were evident in their highly polished routine and made them favourites with the crowd and the judges. New Zealand’s only other medal this year was Silver for the Royal Family, in a very close final in the Megacrew division. The Bradas choreographed and developed their own set for the competition and stuck to a rigorous training programme for the last three months in preparation for this event. Photo (top): Royal New Zealand Ballet dancers Tonia Looker and Harry Skinner in ‘A Midsummer Night’s Dream’. Photo by Stephen A’Court.